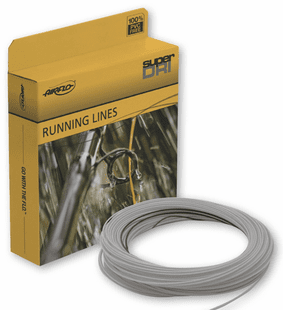 Fly lines will be delivered with fast free shipping and no sales tax. 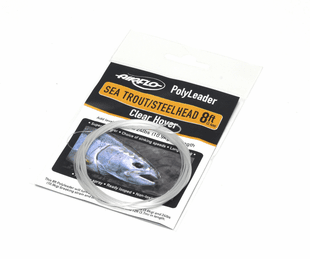 Shooting Head fly lines are specialized fishing lines that offer advantages of efficiency and economy to many salmon, trout, bass, striper, tarpon, and steelhead anglers. 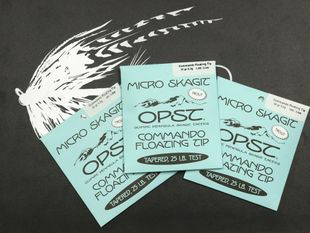 The Caddis Fly Shop stocks a full line of Shooting Head fly lines and recommends several different types of running or shooting lines to combine with these shooting heads. 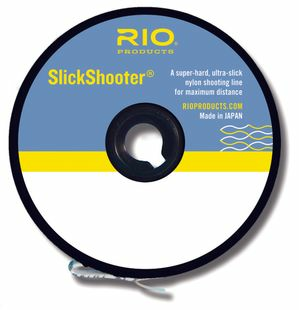 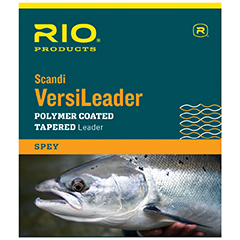 For example, the RIO Slickshooter is a an excellent choice if you prefer to use a monofilament, and the RIO Powerflex or Airflo Ridge Running LIne are both slim profile, level fly lines that we have received outstanding casting and fishing performance when used with shooting head fly lines. 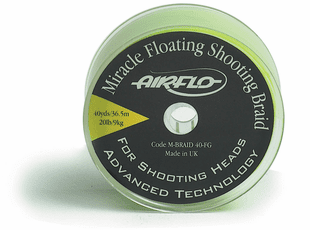 Casting a shooting head fly line. 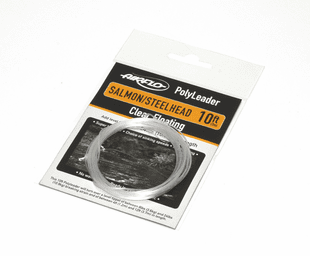 Shooting head fly lines provide the weight to load the rod, and then they are, in effect, launched, and some form of shooting (running) line streams through the guides offering (hopefully) little resistance or tangle as the head travels out on the cast. 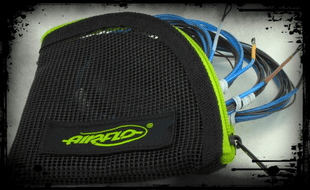 Why use a shooting head fly line? 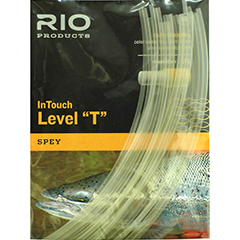 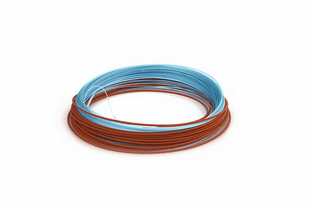 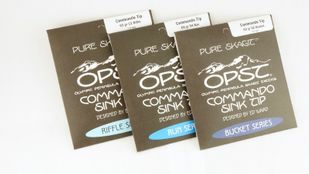 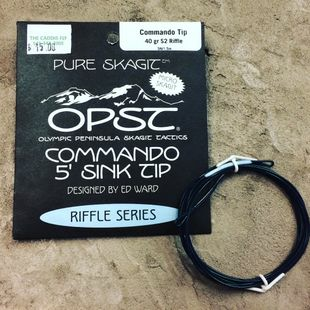 These fly lines offer tactical advantages over fully integrated fly lines. 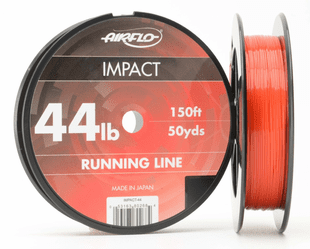 With a running line loaded on your reel, you may loop on any one of several different shooting heads, without the need to change a fly reel, switch-out a spare spool, or transfer a full fly line. 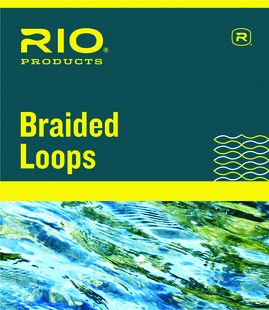 So you could just un loop a floating shooting head and loop-on a fast sinking one if fishing conditions change and require a deep presentation. 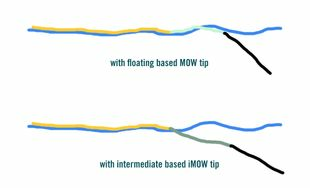 Sure saves time. 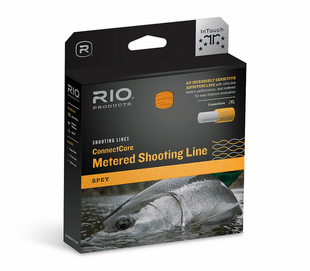 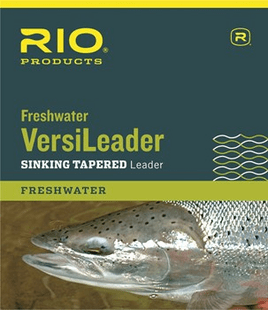 Shooting head lines offer economical advantages compared to fully integrated fly lines. 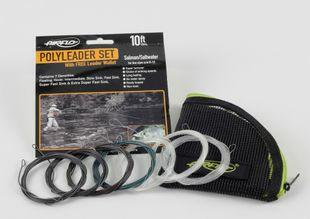 For example, one may purchase one running line, and then purchase a floating, slow sink, and fast sink shooting heads. 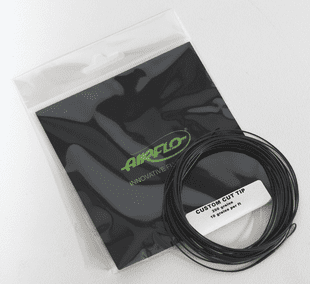 This interchangeable fly line package now allows the fly angler to fish the equivalent of 3 full integrated fly lines at the cost of only two of the full fly lines. 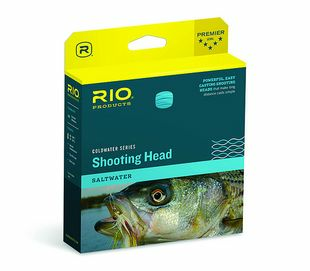 Fishing scenarios for Shooting Heads. 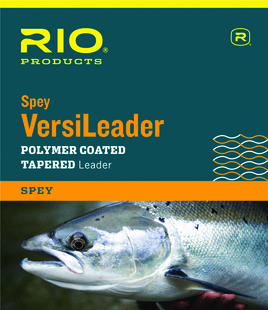 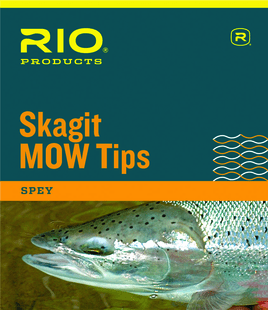 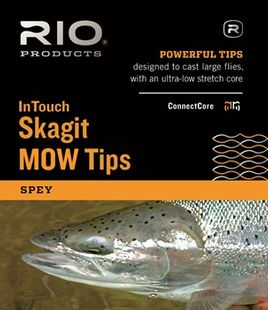 Excluding Spey and Switch head fly lines from this discussion, we find that Rio, Airflo and SA fly lines are put to good use by a wide variety of fly fishers; salmon, trout, steelhead, striper, tarpon, and blue-water anglers all have found about and appreciate the benefits of being able to cast great distances, save a few bucks, and change out shooting heads without changing reels or spools to adjust to different fishing conditions. 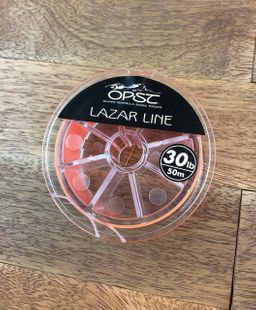 Who makes shooting heads and running lines? 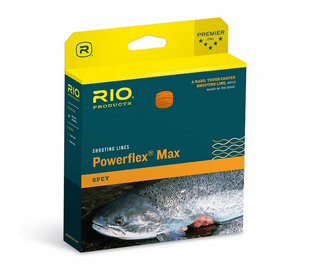 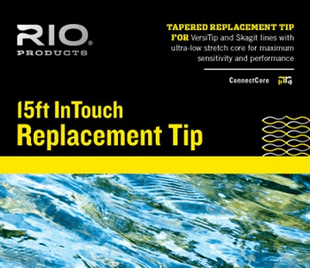 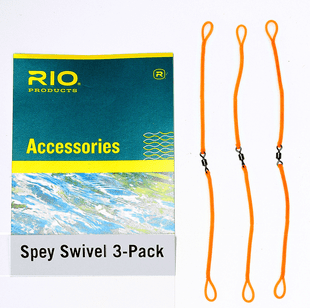 Rio, Airflo, and Scientific Anglers have responded to this new running fly line performance demand with innovative new designs for the Spey fly line shooting heads and the shooting (running) lines that back the heads. 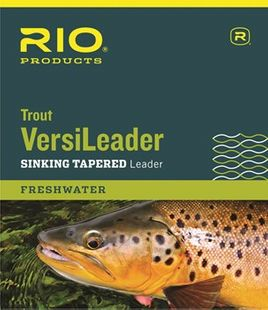 The Caddis Fly inventories and recommends the highest quality fly lines manufactured by Airflo, Rio, and Scientific Anglers. 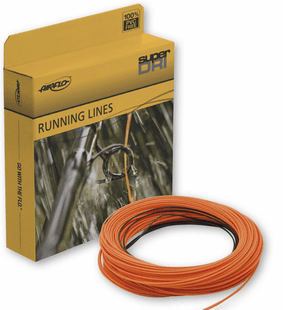 Each of these fly line companies has first rate people behind their line design and testing staff. 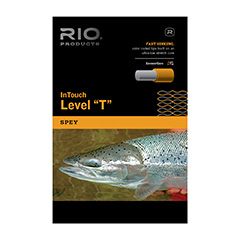 Each of these companies is a trusted and dependable partner in the fly fishing industry. 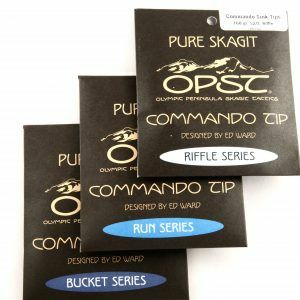 Free shipping and, yes indeedy, no sales tax.